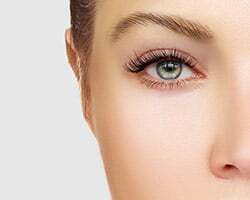 Microneedling is a procedure for the treatment of ageing, wrinkles, scars, large pores and uneven skin texture. SkinPen Precision offers you the next advancement in skin regeneration – stimulating your skin’s natural ability to repair the effects of ageing and damaged skin. Results vary according to individuals intrinsic and extrinsic factors. SkinPen organically stimulates the skin’s natural ability to repair itself. As we age the natural architecture of our skin deteriorates. This deterioration leads to fine lines, wrinkles. large pores and uneven skin texture. SkinPen comfortably creates thousands of controlled micro-injuries in the skin to trigger the body’s natural wound healing process. This process results in the formation and remodelling of Collagen, which supports the underlying tissue. • A short procedure time, approximately 30 minutes. • A plan for optimal results, typically 3-6 procedures. • Mild post-procedure effects. similar to a mild to moderate sunburn. • Effective on all body parts including face, neck and decolletage. • Safe for all skin types, light to dark. • Ideal any time of the year. • Quick 48 hour recovery time. Little to no downtime. Individual Patient Safety Treatment packs used for every patient giving you peace of mind. SkinPen Precision is FDA Approved, and Globally ISO and BSI accredited. Has as a single use lock out feature, so removing any possibility of cross contamination. Had the most relaxing Dermalogica facial yesterday thanks to Natalie . Next one is booked, my skin feels so plump and fresh this morning. I didn’t realise how dehydrated it was…Thankyou so much.